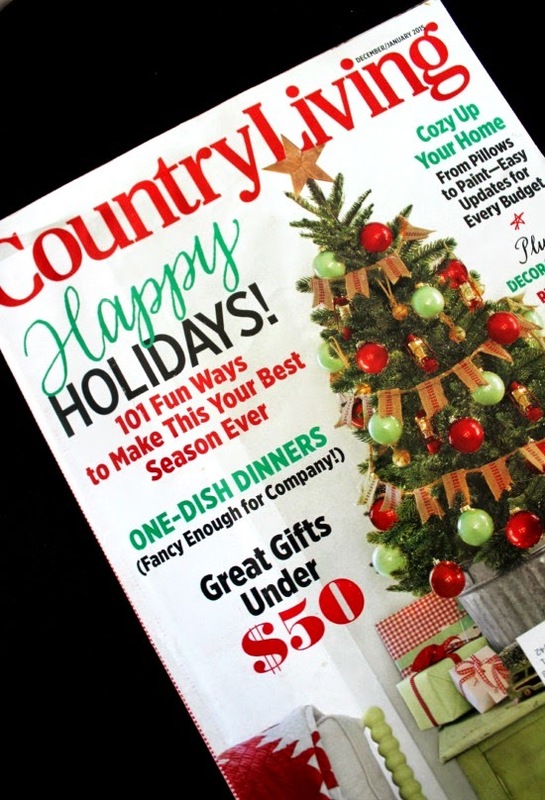 Just before Thanksgiving I received in the mail the December issue of Country Living magazine. And while a little disappointed at how thin this issue was, I couldn't help but to fall in love with some of the crafts featured in the magazine. 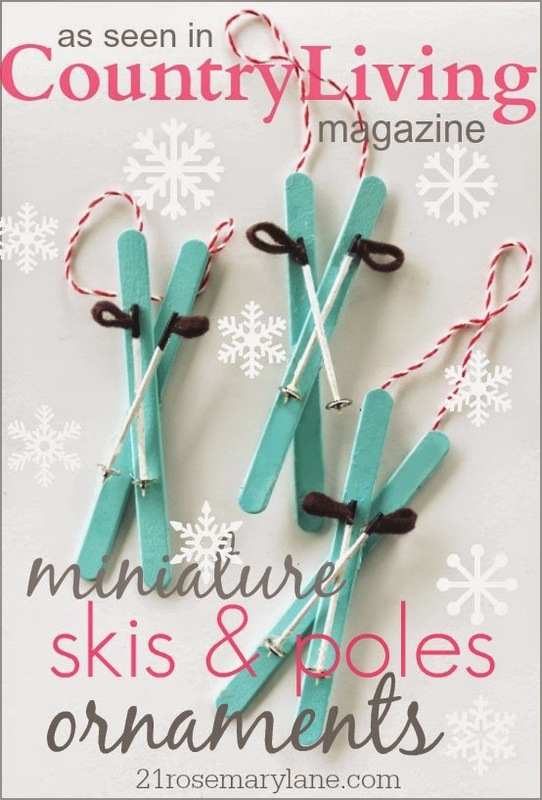 My favorite being these darling miniature skis made with craft sticks and toothpicks. These little skis and poles are super simple to make but I will share a few things I learned while in the process of working with the materials. First I bought craft paint and painted the craft sticks but then thought there must be a faster way to get this job done, so I invested in a can of spray paint. The only problem with using spray paint is that the sticks are so light the blast of air from the spray can blew my craft sticks all over and upside down. The other issue is that I used a gloss paint and as we all know shiny paint shows flaws and craft sticks are far from perfect. So it was back to the craft paint. For the ski poles I found that it was best to dry the painted poles while they are not lying on a paper surface. I grabbed a lime from the frig and literally used it as my drying rack. I painted the poles white and then stuck them into the lime. Once dried I cut a blunt end and then dipped that end into black craft paint and returned them to the lime to finish drying. Using size one snap fasteners I put a little hot glue on the sharp end of the toothpick and slid the snap on. The wrist straps were created using small strips of brown felt, cutting them down to about an inch or so and then the two ends were glued together to create a loop. (You can also use twine as directed by Country Living.) Once the loop was dry the end was dipped into a tad of hot glue and then stuck to the black end of the toothpick. 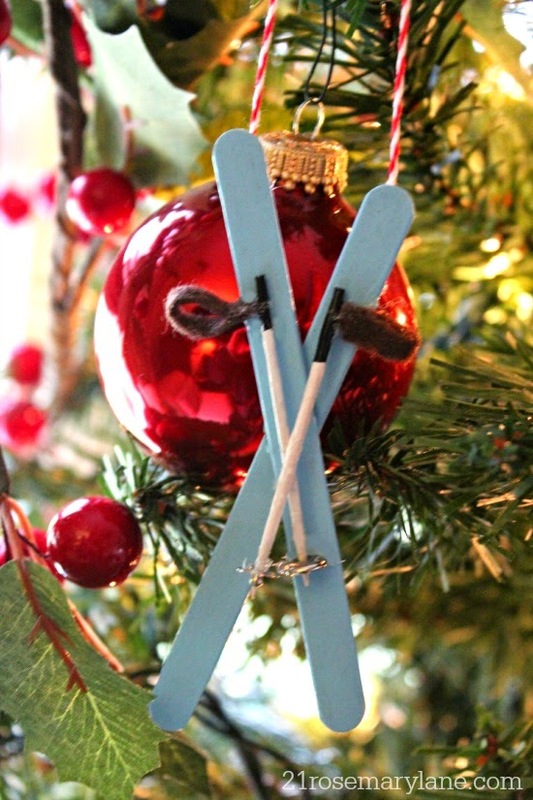 To assemble your little skis, criss-cross two craft sticks and glue together. 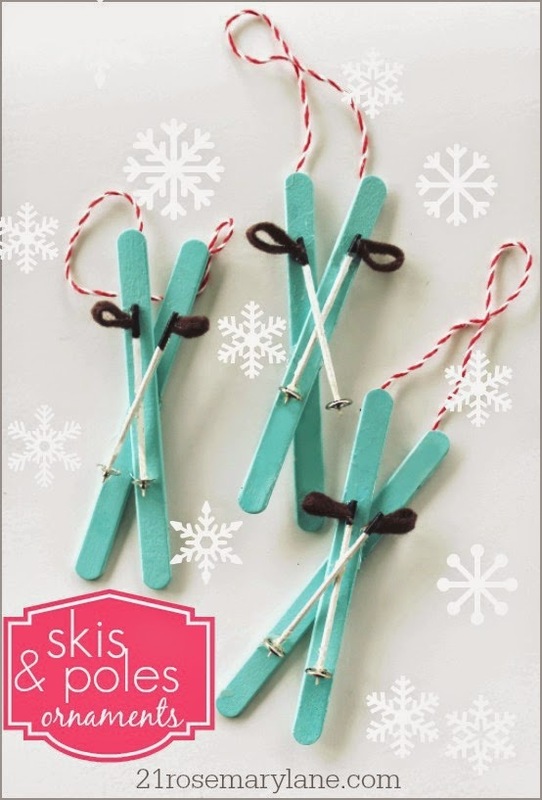 Once dry flip them over and glue on a piece of baker's twine, about 2 inches long, on the top of each ski. Flip back over and glue one ski pole on the top of the top craft stick. Taking a second ski pole glue it on top of the first ski pole in a criss-cross fashion. Let dry completely and you have your ornament. 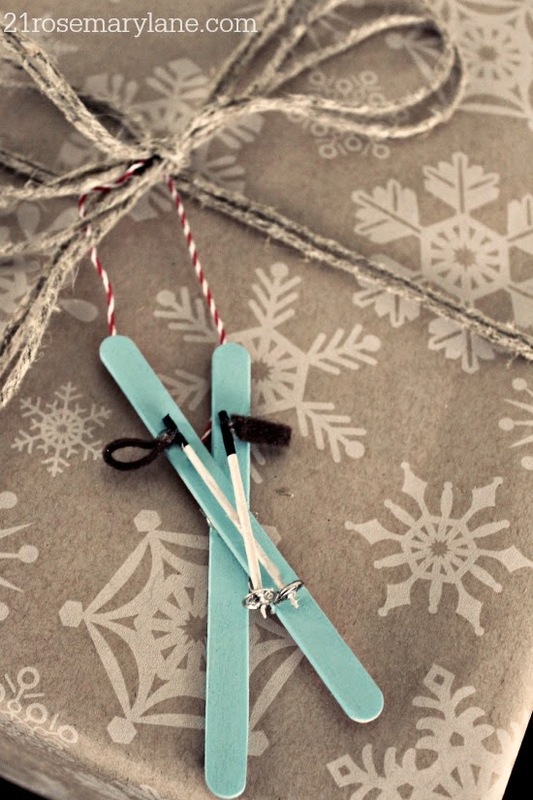 Hang them on your tree or use them as a vintage touch on your Christmas gifts. Also beginning next Wednesday December 10th, stop by and follow along with a Christmas Open House Blog Hop hosted by Sherry of the blog No Minimalist Here. Twelve of your favorite bloggers, including yours truly, will be sharing their home holiday decor. It should be an inspiration packed 3 days so put it down on your calendars and/or grab the button from my side bar, just remember the hop begins next week with these super bloggers! These are adorable, and I'm going to make some!! Thank you for sharing your tutorial. Barbara, these are just the cutest! You always have some of the best craft ideas! These are very cute! I haven't gotten CL in quite awhile. Are they still oversized? Wow! What a great blog you have. Beautiful shots, beautiful everything. Will come back soon. Barbara, These are just the cutest thing! I was expecting a large CL Christmas issue but when I saw how thin this months magazine was I didn't even buy it. Looks like you found an adorable project though. See you at The blog hop. Barbara, the little skis are so darn cute! Love the color that you made them. Thanks for sharing with SYC. Oh my gosh, those are really cute! Super cute! I might try to make these. I could probably dye the sticks with kool-aid powder. And buy colored tooth picks. :) So adorable!